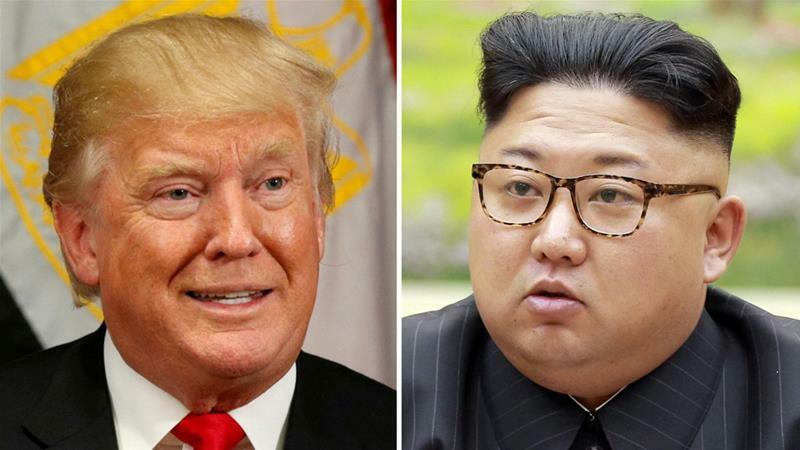 The war of words between Trump and Kim Jong-un has escalated recently. Kim In-ryong told the UN General Assembly's disarmament committee on Monday that North Korea is the only country in the world that has been subjected to "such an extreme and direct nuclear threat" from the United States since the 1970s - and said the country has the right to possess nuclear weapons in self-defence. This year, Kim said, North Korea completed its "state nuclear force and thus became the full-fledged nuclear power which possesses the delivery means of various ranges, including the atomic bomb, H-bomb and intercontinental ballistic rockets". "The entire US mainland is within our firing range and if the US dares to invade our sacred territory even an inch it will not escape our severe punishment in any part of the globe," he warned. Kim's speech follows escalating threats between North Korea and the United States, and increasingly tough UN sanctions. US Secretary of State Rex Tillerson said on Sunday diplomatic efforts aimed at resolving the North Korean crisis "will continue until the first bomb drops". Kim told the UN's disarmament committee the Democratic People's Republic of Korea - North Korea's official name - hoped for a nuclear-free world, but reiterated the country would never surrender its nuclear capabilities. "Unless the hostile policy and the nuclear threat of the US is thoroughly eradicated, we will never put our nuclear weapons and ballistic rockets on the negotiating table under any circumstances," Kim said. The United States is not ruling out the eventual possibility of direct talks with North Korea, Deputy Secretary of State John J Sullivan said on Tuesday after Kim made his comments. "Eventually, we don't rule out the possibility of course of direct talks," Sullivan said in Tokyo after talks with his Japanese counterpart. "Our focus is on diplomacy to solve this problem that is presented by the DPRK. We must, however, with our allies, Japan and South Korea and elsewhere, be prepared for the worst should diplomacy fail."